Pros at the Law Game Belly Up at Virtual Pub and Muse on All Things Legal. It’s only when you’ve been in the game for a long time that you really notice things. Thomas Erskine Ice has been in the law game a long time. Almost thirty years to be more specific. In that time, Ice has received a number of awards, recognitions, a prestigious AV-rating and founded a leading private litigation firm in South Florida. He’s also represented a wide range of clients from all walks of life. The Lawtender is a platform to talk about legal issues in a free, open and academic manner. It has just a hint of raconteur-ing to go along with the scholarly approach, providing a refreshing take on what matters in the law. The hope is that others follow Ice’s example by taking the spirit of what Lawtender represents and trying to initiate tangible change in the system. He’s doing that by founding a people-first, attorney-powered online legal resource called LegalYou. Check out www.lawtender.com for an after work cocktail of legal know-how, opinions and reflections. 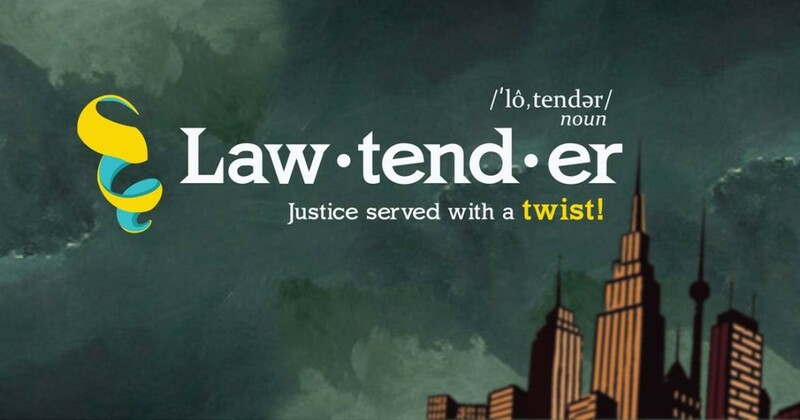 Lawtender is also on Facebook and Twitter. Follow them for updates, as well as information, news, links, articles and a steady stream of helpful legal tidbits. The Lawtender is a blog associated with LegalYou, an all-encompassing, direct legal resource for absolutely anyone. LegalYou is powered by Ice Legal, P.A.—a first-class, full-service litigation firm with personalized client commitment. LegalYou supports the independent litigant by providing direct legal advice, free court document services, a wealth of engaging multimedia content, constructive gaming and encyclopedic knowledge of the law made easy to understand. Check out LegalYou and Ice Legal for more information.